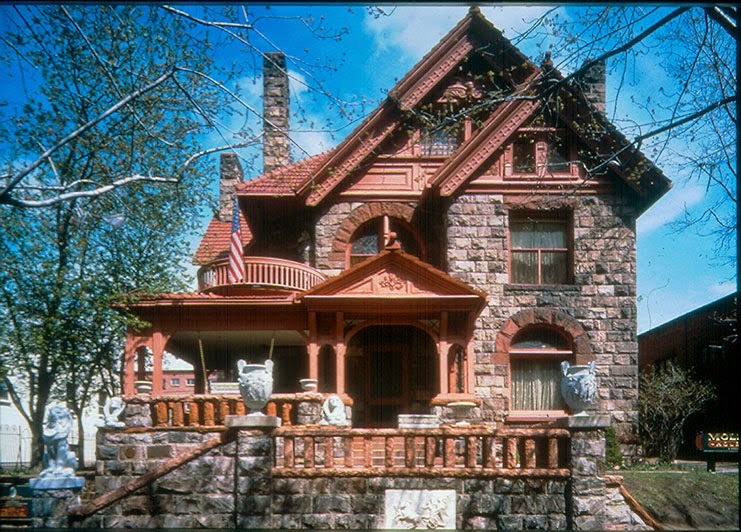 The home of the Unsinkable Molly Brown at Denver, Colorado. If one has ever seen the movie, "The Unsinkable Molly Brown", the story about a rags to riches woman,who is best remembered for her heroic acts and stamina while commandeering a lifeboat from the sinking Titanic and went to Denver to see her real home, you might be disappointed that it is not the towering grand Victorian as depicted in the movie. The actual house is in Denver, Colorado and is in the best neighborhood, but the homes are not the huge opulent mansions, one would find along Fifth Avenue in New York City. Molly Brown's house is quite small and if in a row of similar houses would not get much notice. Fortunately her home and that of her husband, J.J. Brown, it has been saved from demolition and is now a museum house. The house as one might expect once being the home of a very energetic woman, is not always full of paying visitors. Staff members at the museum and others have reported strange unusual smells and sounds. Please click the following links to find out more about the ghostly sightings and the history of the fascinating house.